Think of spread betting and you automatically conjure up images of city boys, fast cars, tailor-made suits and bright white teeth, but that’s no longer the case now the idea has extended into the world of sports. One thing remains the same – the chance to land big money. Understandably, many punters will be put off by the dangers of trying something new, preferring to keep their distance from playing the numbers even if it could land them a tidy profit. There’s really no need to be wary, however, as the idea of spread betting isn’t too dissimilar to what many sportsbook backers – such as those who bet with Paddy Power and Betfair - already enjoy. Put in its simplest form, spread betting is predicting whether a team or player’s final score will be above or below a predetermined spread. That could be points, rounds, sets, minutes; it really doesn’t matter. Taking the Premier League as an example, you could bet on any of the 20 teams pre-season and unlike traditional backers, you’re not restricted to the simple win-lose-draw. A team could finish bottom of the league with no wins on the board and you could still land a healthy profit. Your selection doesn’t really have to achieve anything to give you reason to cheer and that’s the beauty of it all. Remember, you can get tips for all football matches in the major European leagues with Infogol. Be it Everton, Liverpool, Wolves, Cardiff or Man City, you can bet on their final points tally being more or less than the spread offered by odds compilers during the quiet months. Get involved and you could be taking delight in home wins, draws and defeats, as you hope the side stay beneath a certain barrier to land the cheque, or take delight in every Premier League point picked up as it moves your side a step closer to the magic number. The spreads set out by bookmakers are fiercely competitive, so this isn’t quite as easy as you’d think. 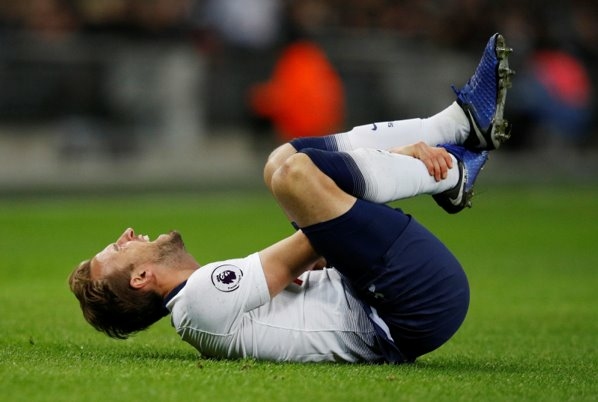 Picking through the 2018/19 Premier League points spread betting you may find Tottenham – who finished the previous season with 77 points - quoted with a points spread of 76 – 77.5. That means the house thinks Spurs’ final tally for the season will be between 76 and 77.5 points. If you fancy the Londoners to better that, then you can buy over 77.5. If you think they’ll fall on hard times and end with less than 76 points, then it would be wise to sell. 90 points – 77.5 points x £10 stake = £125 prize. That’s the good bit and it’s also the easy bit but, in spread betting, there’s the possibility of a player losing much more than their original stake. Here’s a quick example of how. During the 2015/16 season when Leicester were surprise winners, Tottenham ended with 70 points. If you backed over 76 – 77.5 that year, things would have been quite uncomfortable in spring if the trade was allowed to run its course. 70 points – 77.5 x £10 stake = £75 loss. It’s easy to see that the potential winnings from spread betting is huge if you call things right, but if you’re off the mark you could lose heavily. It’s worth mentioning again that unlike sportsbook betting where you lose your stake if your predictions fail, in spread betting it’s possible to lose a lot more than your first stake. To counter this there are a number of ways to safeguard yourself against the risk of getting in too deep. For example, the spreads are constantly updated throughout the season for every participant, allowing you to get out of bad investments and into better ones. This will, at least, allow players to cut their losses. There are also a few restrictions bookmakers have in place to prevent any punters going into freefall. A margin call comes into effect if any losses reach 10% of the value of the bet. Players will then be prompted to pay more money to keep it live or have the bet closed at the current price if payment is not forthcoming. Stop losses is another option and many users feel this is a better way to reduce the risk. Similar to automatic cash-out in sports betting, you can set a number at which your trade will automatically close if your losses reach that level. In other words, it’s a way to decide beforehand how much you can possibly lose before bailing out. If you plan on giving spread betting a try it’s advisable to know all the facts before getting involved and also ensure you have a good understanding of how much you could lose and how best to limit those losses.